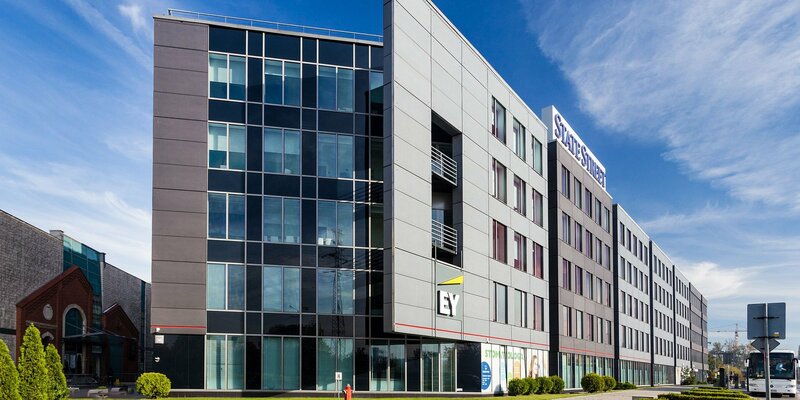 The Kazimierz Office Center building in Kraków has retained its existing “Excellent” BREEAM In-Use grade in the “Asset Performance” and “Building Management” categories. This is the highest grade awarded so far to an office building in Kraków within the BREEAM In-Use certification scheme. The building is managed by BNP Paribas Real Estate Poland. The BREEAM In-Use assessment and certification scheme is one of the most reliable tools for assessing the quality of commercial properties in Poland and throughout Europe, most widely used by investors and developers alike. It examines the many various aspects of a building’s operation with regard to protection of natural resources such as the quality of its internal environment, energy efficiency, availability of public transport, building materials used, operational management as well as water and waste management. The annual certification process covers office buildings, retail schemes, industrial facilities and residential developments. In 2017 Kazimierz Office Center received the “Excellent” BREEAM In-Use grade in the “Asset Performance” and “Building Management” categories for the first time. This year’s assessment, similarly as in the previous years, resulted in the Kraków office building obtaining the second highest grade in both categories. BNP Paribas Real Estate Poland and Go4It were in charge of carrying out the entire process. Only two buildings amongst all the office schemes in Kraków holding BREEAM In-Use certification can boast an “Excellent” grade. Kazimierz Office Center is located near Galeria Kazimierz and Kotlarski Bridge, at the junction of ul. Podgórska and ul. Gęsia. The office building offers 16 000 sqm of leasable modern office space spread across five storeys. The building’s regular standard of finish includes suspended ceilings, raised floors, BMS, HVAC and modern telecommunications networks that facilitate efficient design and layout of the space and provide a comfortable working environment. Additionally, tenants have at their disposal an underground car park with more than 200 parking spaces.